Hello everyone welcome back to Glitters All That. So here I am back with a new review on the blog and I am very happy and excited that more and more people are viewing the blog day by day and it really motivates me to work more. 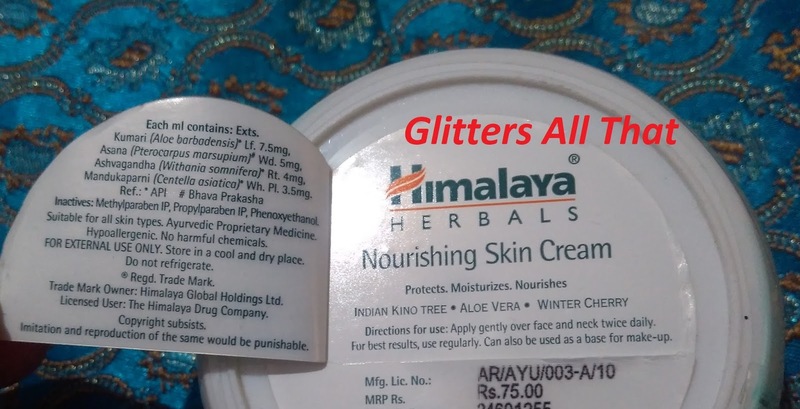 So guys let me come to today’s review it’s all about Himalaya Herbal Nourishing Skin Cream which comes in 3 different quantities and I am having 50 ML so let’s start the review now. 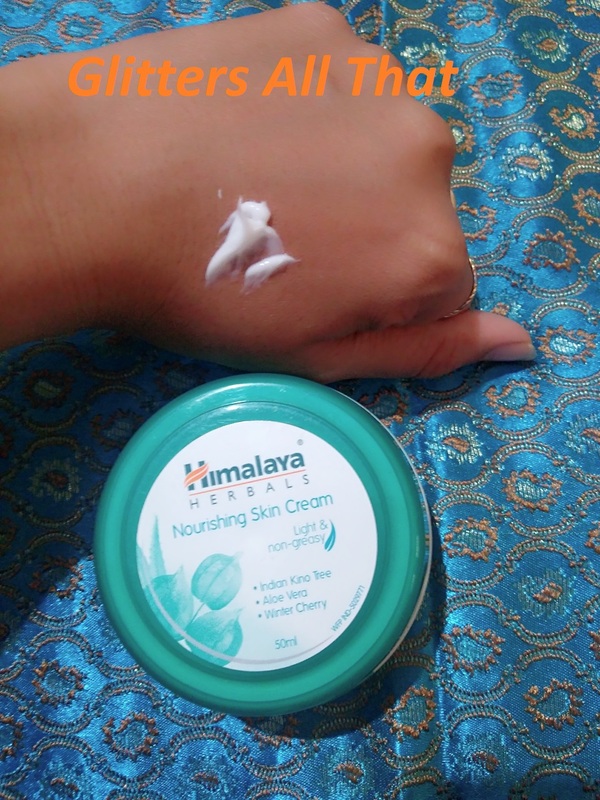 Himalaya’s Nourishing Skin Cream is a light, non-greasy, daily-use cream, which provides all day moisturizing, nourishment and protection. 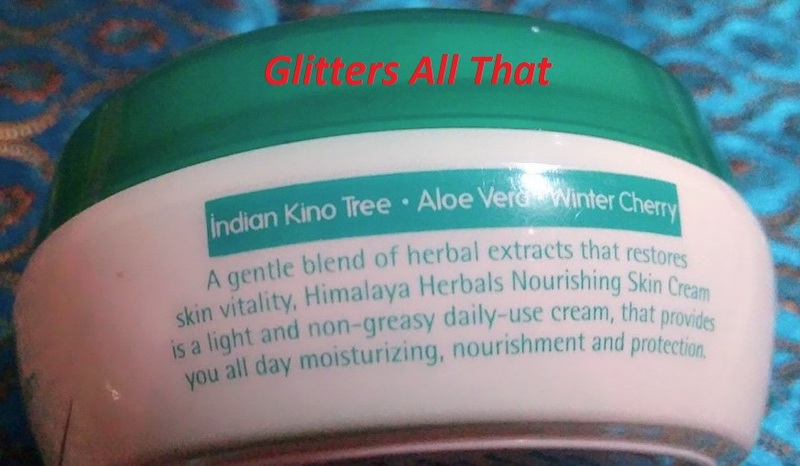 The cream is blended with the extracts of Aloe Vera, Winter Cherry, Indian Kino Tree and Indian Pennywort, which protects your skin from pollution and dry weather, providing nourishment and moisture. 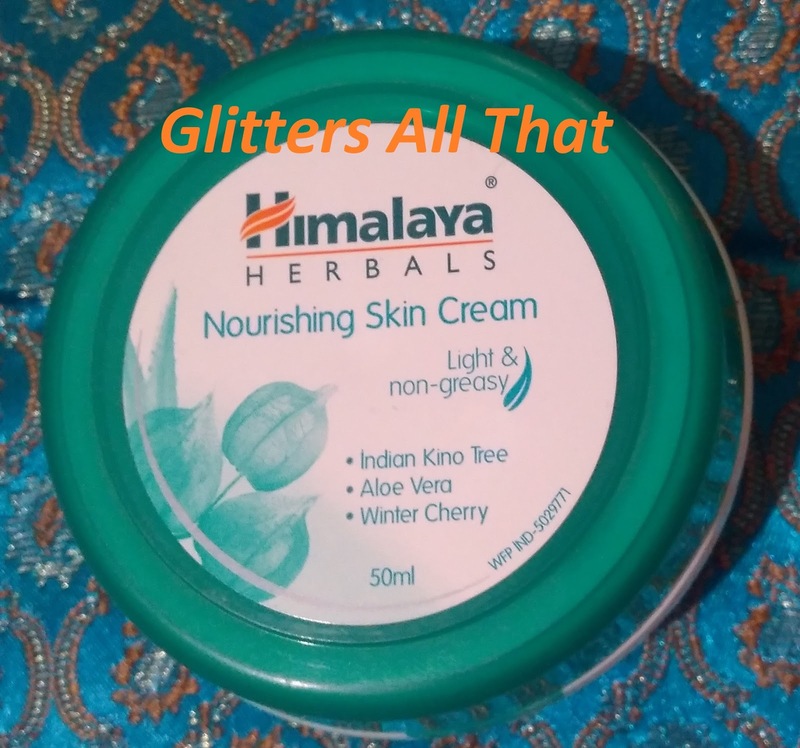 Himalaya Herbals Nourishing Skin Cream comes in a plastic tub packaging with a screw open lid. Packaging looks really good and attractive. 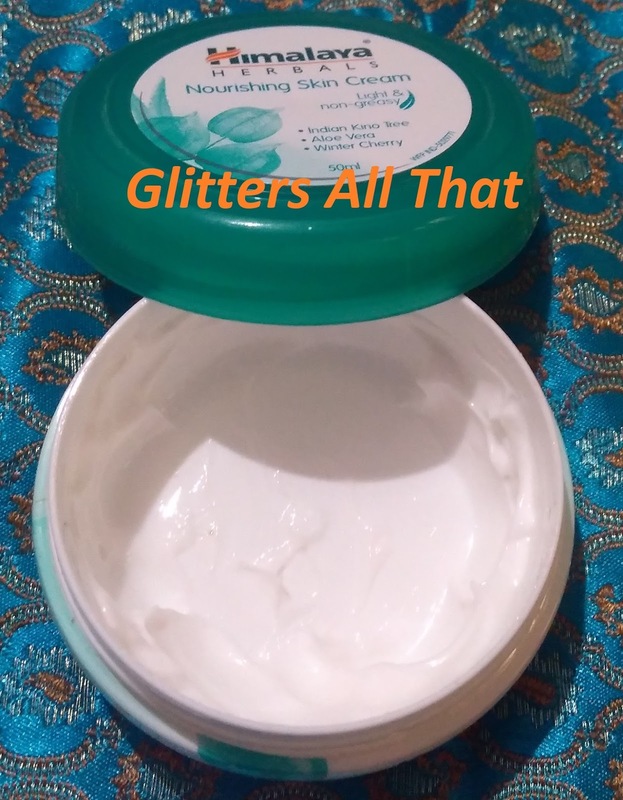 The cream is non-greasy and light to apply as it claims but you need to reapply it as it would neither work in peak winter season nor for the very dry skin people. The fragrance is good enough but I don’t know why I didn’t like it but my mom loved the fragrance, so it may differ from person to person. Since the cream is non-greasy it can also be used as a base for the makeup. It has a thick consistency so there is no fear of spillage. It doesn’t leave a white cast and has a travel friendly packaging. I would rate it 2.5/5. Overall it is average cream and I would not buy it again as neither, I like its fragrance nor the staying power. Though it claims to be good for sensitive skin people but then there are various good options available for them with good fragrance and which does not require reapplication. Hope you guys like the review please do comment and subscribe through Email and Follow me on social media for all the updates.